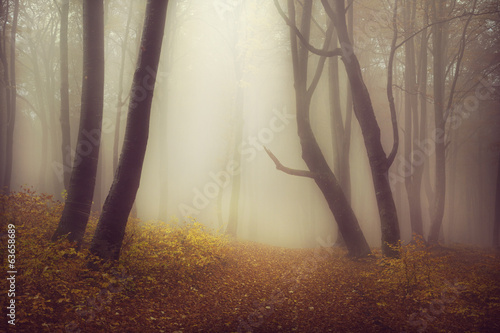 A mysterious forest picture is even more exceptional when its edges are surrounded by morning foggy down. This view is so unusual and mysterious. Magic hides among trees in the depths of the forest. A forest photo wallpaper will add charm to each room. Let it bathe in nothingness of white foggy milk.